Cedric Richmond is the United States House of Representatives for Louisiana's 2nd congressional district. He is a member of the Democratic Party. Born September 13, 1973, Cedric Richmond is a lifelong resident of New Orleans. Raised in Eastern New Orleans, he grew up attending public schools and participating in New Orleans Recreation Department programs. Richmond's father died when he was seven years old. His mother, a public school teacher and small business owner, provided him with strong guidance with added emphasis on education. He credits the coaches at Goretti playground as being very influential role models and motivators in during his childhood. He graduated from Benjamin Franklin High School, Morehouse College, Tulane School of Law and the Harvard University executive program at the John F. Kennedy School of Government. After passing the Louisiana Bar Exam, Richmond was elected to the Louisiana House of Representatives where he has been a leader and served with distinction since 2000. Currently, he is the Chairman of the committee on Judiciary and a member of the Ways and Means, House Executive, and Legislative Audit Advisory committees. The Council for a Livable World, founded in 1962 by long-time socialist activist and alleged Soviet agent, Leo Szilard, is a non-profit advocacy organization that seeks to "reduce the danger of nuclear weapons and increase national security", primarily through supporting progressive, congressional candidates who support their policies. The Council supported Cedric Richmond (D-LA) in his 2010 Congressional election campaign. 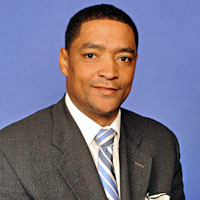 Cedric Richmond has represented New Orleans in the Louisiana House of Representatives since 2000. Now he is running for the U.S. Congress in the 2nd Congressional District. Richmond is a progressive who supports the vision of a world free of nuclear weapons. Members of the Host Committee included Cedric Richmond. In 2013 Progressive Democrats of America assigned activists to deliver their material to almost every US Congressman and several Senators, Adam Davis, was assigned as contact for Rep. Richmond. In June it was Robert Desmarais Sullivan. The Alliance for Retired Americans Political Action Fund endorsed Cedric Richmond in 2014, also 2012. After an emotional meeting between a dozen members of the Congressional Black Caucus and activists in Ferguson, Mo., the CBC pledges action to keep the movement going. After a dinner meeting with 10 young activists in Ferguson, Mo., members of the Congressional Black Caucus are looking for ways to empower the Ferguson activist community. Eleven members of the caucus met with the activists Jan. 17, 2015 including leaders from the Organization for Black Struggle and activists Deray McKesson and Johnetta Elzie. “That dinner meeting was powerful. They [the members] heard it. They got an earful from those young people about how bad it is. They spoke on how they felt that the civil rights movement had failed them and talked on the abuse they are still taking from the criminal-justice system,” Rep. William Lacy Clay, Jr. (D-Mo.) told The Root days after the CBC visit to his district. “The next step is for the Congressional Black Caucus Institute to get behind a massive effort to educate the voters of Ferguson. It’s a community of 21,000 people, 67 percent African American; we have the numbers, and the map works for them having a voice in local government,” Clay added. Members of the CBC pledged to sponsor several young activists from Ferguson for the next CBC Political and Education Leadership Institute Boot Camp. The CBC Institute, started in 2002, has an annual political-leadership boot camp that focuses on leadership development, political campaigns and issue advocacy. In July, 55 young people graduated from the boot camp. Members can sponsor boot camp students with their campaign funds. “Rep. Joyce Beatty [D-Ohio] agreed to sponsor one of the activists who attended the dinner at the CBC Institute boot camp. We’re gonna have about 15 of these young people in our boot camp from Ferguson,” Clay said. CBC member Rep. Jim Clyburn (D-S.C.), currently the top fundraiser of the 46-member caucus, brought a check to the dinner meeting for each City Council candidate at the gathering. A more detailed fundraising plan is being thought out. “We have filled the candidates in those seats, and we will be going out in each of the three wards in Ferguson, educating the voters on the importance of them having a voice in their local government,” said Clay. CBC Chairman G.K. Butterfield told The Root on the night of the State of the Union that the caucus will soon unveil a detailed criminal-justice legislative plan. The delegation also included reps Karen Bass, D-Calif.; Andre Carson, D-Ind. ; Emanuel Cleaver, D-Kansas City; Marcia Fudge, D-Ohio; Sheila Jackson-Lee, D-Texas; Donald Payne, Jr., D-N.J. In early 2019 Rep. Cedric Richmond (D-La. ), the former chairman of the Congressional Black Caucus, had been speaking to Joe Biden regularly and urging him to jump in the race. Richmond said he believes that Biden is “95 percent” committed to running and has been coordinating calls between Biden and other members of Congress. House Homeland Security Committee Chairman Bennie Thompson (D-Miss.) said he has been informed that he’s on a “call list” and Biden should be reaching out soon. Sen. Bob Casey, Jr. (D-Pa.), a longtime Biden friend, said the former VP called him last week. While Biden wasn’t “declaratory” about a White House bid in that call, Casey told The Hill Tuesday, it would be “very surprising” if Biden didn’t run. Rep. Gerry Connolly (D-Va.), a former Biden staffer during the 1980s, hasn’t spoken to Biden recently but said there is nothing stopping his former boss from running again. This page was last modified on 13 March 2019, at 00:04.